A gritty, gory biopic of the Arun Gawli, a tale of a local goon to win over underworld mafias and ultimately reigning over Mumbai, while being empathic and down to earth! A well-executed action crime thriller packed with gritty visuals and power packed performances by an ensemble cast! 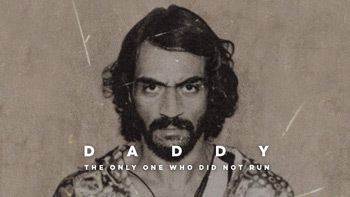 Positive Points: Technically sound, well-paced screenplay, gritty action and Arjun Rampal’s on point performance. Negative Points: The story of Arun Gawli put on fast pace, which should have been paced properly! Sunny Leone went through prosthetic masking process for an amazing project! Hollywood Horror Sensation IT beats the Bollywood competition at the box office!